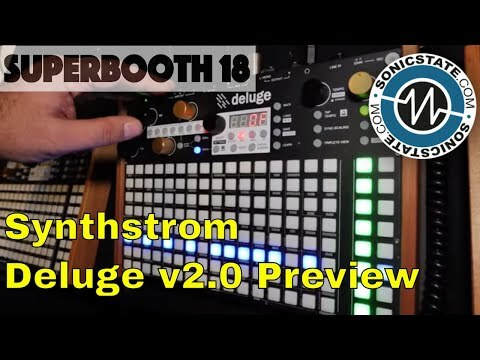 Hi all - I thought I heard this mentioned in one of the superbooth videos that you could record jamming and it would essentially show up in the arrangement page. The arranger is SOO amazing but to me this would be more organic to get the main elements of a song down then drill down and program in fills, sweeps, etc later. Please forgive me if this is already possible and I missed it. And THANK YOU for your amazing instrument Rohan and the Deluge crew! You can use white instances. White instances are unique to arranger view. Either insert a new white instance or make an existing instance white by pressing shift. I'm pretty sure what @atimchak is asking for has nothing to do with "white instances" they are asking if you can hit record in arranger mode, flip back to song mode, and start cueing mutes of individual tracks and track groups. As you do that, the corresponding track instances get created in the arranger view. So recording the track events into the arranger view. So you could just jam a performance as a strating point for the arranger, and then tweak it. Yes that is exactly what I was referring to o0 - thanks for clarifying. To repeat - using song mode to record an arrangement into arranger mode using mutes and any other live functions so the arranger timeline will play back a jam. I seem to remember this exact feature being mentioned in the sonicstate interview with Gaz talking to Ian about 2.0, maybe it is coming later? Found it 5:28 on this video, Ian says it is not yet possible to show, so assuming it will be added in an update. Yes! I wasn’t crazy! Great find darenager. This is so exciting that this will be in an upcoming update - so you can do a bottom up or top down composition. Yes. Rohan is really keen to have this functionality in a future update. This is exactly what happens with Ableton Live when hitting record and jamming in session view. Everything spits out recorded to Arranger view and you have you starting point of a song to make individual tweaks on in the Arranger. I was also hoping this what what 2.0 would do. Would love it in an update. I can build song sections and tracks in song mode and jam them live then have it all conveniently spit out to Arranger for finalizing and fine tuning. Just read about this in the november newsletter, it´s a dream come true for me with "record to arranger". So cool!